Ophthalmologists diagnose and treat diseases and conditions of the eye, perform surgery on the eye, provide preventive care and correct patients’ vision. Ophthalmology is among the few specialties in which practitioners apply both medical and surgical techniques. In addition, many ophthalmologists prescribe and fit corrective lenses designed to improve their patients’ vision. Ophthalmologic specialties may focus on specific structures within the eye, such as the cornea or the retina, or on eye diseases and developmental and acquired conditions such as strabismus, amblyopia and glaucoma. New refractive surgery techniques that have been developed over the past quarter century have significantly changed the practice of ophthalmology. Chief among them is LASIK surgery, which uses an excimer laser to cut and reshape corneal tissue to reduce or eliminate the need for corrective lenses. With populations in North America and Europe aging, senile cataracts have become increasingly common. Cataracts result from the accumulation of mineral deposits on the lens of the eye. The lens first becomes cloudy and ultimately, opaque resulting in partial or total vision loss. Ophthalmologists correct cataracts by surgically removing the cloudy lens and replacing it permanently with a plastic lens. Pediatric ophthalmology focuses on genetic and developmental abnormalities as well as neoplastic and inflammatory conditions that occur in children. Common pediatric ophthalmology concerns include strabismus, a condition in which the eyes do not align properly; amblyopia, commonly known as crossed eyes; and infections and viruses such as conjunctivitis and pink eye. Pediatric ophthalmologists also treat less common conditions such as pediatric cataracts, tumors and glaucoma and genetic disorders, as well as retinopathy associated with premature birth. Retina specialists diagnose, monitor and treat a variety of heritable and acquired diseases which can cause partial or complete vision loss including retinitis pigmentosa, macular degeneration and retinoblastoma. Retinopathy, stemming from damage to the vessels that supply blood to the retina, is commonly associated with hypertension and diabetes. Neuro-ophthalmology deals with diseases of the nervous system that impact patients’ vision. 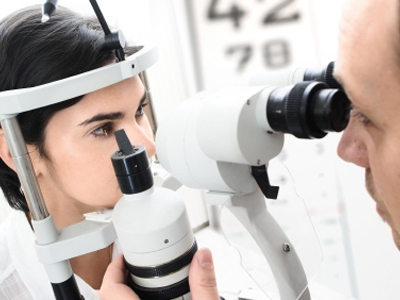 Conditions that require neuro-ophthalmological expertise include brain tumors and strokes that affect the vision of the patient; disorders of the optic nerve such as optic neuritis and optic neuropathy; and neurological conditions such as blepharospasm and myasthenia gravis.